We are so lucky to work with some great partners and sponsors at Towersey Festival. Companies that through partnership help us make this Festival what it is and benefit in turn from this mutually supportive relationship. Read more about them below. 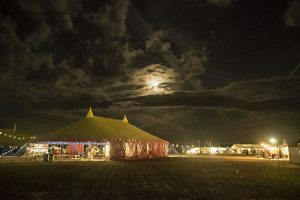 As one of the oldest and most respected Festivals in the UK we are the perfect partner for any brand or business who want an affinity with quality arts and culture and a powerful audience reach that is strong both regionally and nationally. Bar Nation provides fully managed event bars and we are delighted to be working with them to bring amazing bar and drinks to Towersey this year. BBC Oxford broadcast yearly from the Festival. They are the region's BBC network producing local information, news and entertainment programmes for TV and Radio. Powerful Thinking is a think-do tank which brings together festivals, suppliers and environmental organisations to explore ways to reduce the costs and carbon through increased efficiency and alternatives and share findings to promote lower carbon industry. Music-News.com is updated 24/7. Music-News.com strives to find a light-hearted but informative angle on breaking music news stories and has all the latest reviews and interviews.